UPDATED 3-Jul-2012 with more simple instruction, thanks to our customer Mark! 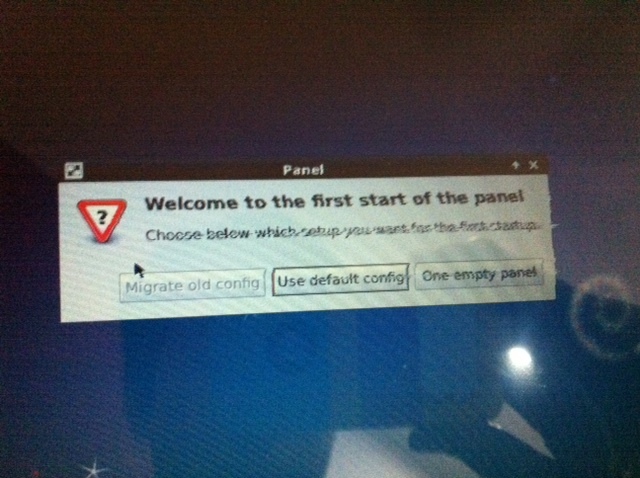 Some of our customers found that running our v2 board on Pandaboard ES gives some artifacts on LCD picture. You can notice on below photo that pixel rows are shifted on contrast areas (black text on white background). The same board has no artifacts running on Beagleboard, Beagleboard-xM, and original Pandaboard. To solve this problem you have to remove resistor R85 on PandaBoard-ES (second counting from the bottom in block C) and put 0 Ohm resistor or just put solder drop to short both pads. That’s all, now artifacts should gone and you will have clear picture on Pandaboard ES. Mark, this is interesting. We made tests in house, and also several our customers confirmed that adding 33R resistors helped them. I can clearly see this on oscilloscope as well. Can you please let me know revision of your Panda board? Also, please publish oscilloscope screenshot of CLK line signal before and after your modification. Our Pandaboard ES are both revision B1. I can confirm that adding the 33R resistor to the interface board reduces the artifacts, but doesn’t eliminate them completely – at least for our two pandaboard ES. With the bridged resistor on pandaboard, there are absolutely no artifacts. What I didin’t test was an unmodified interface board with modified pandaboard. I looked at the clock with an oscilloscope but didnt see much difference (modified – a bit more sinusoidal, unmodiifed – a bit more triangular) between modified and unmodified pandaboard ES, but didn’t take any screenshots. OK, thanks for valuable add-on! Lets await for responses from others customers. Unfortunately i cannot do hardware modifications for now, i don’t have the required tools, but what i can say is that artefacts disappear when i touch R85 with my finger, and i’m pretty sure that like Mark it wont be enough just to add the 33R resistor on LVDS board. I am getting these artifacts on this LCD. What I am unclear about is in the post, it is mentioned to remove R85 resistor and short it; but in the comments, it is written we have to add 33R resistor on LVDS board. where to add it? You just remove R85 and short pads on Panda ES, this works in 99% cases. 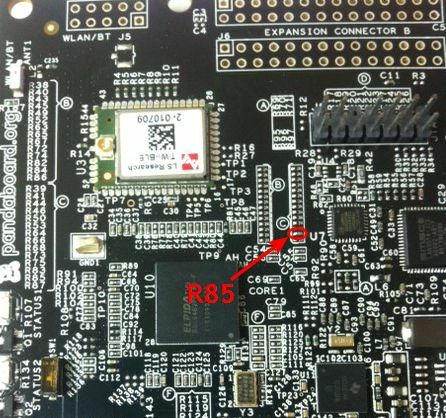 “33R on LVDS board” was previous method, but it is more difficult to do. i have connected the LCD(11 inch) to panda board. But after some time even though the data to LCD is changing continuously the screen saver comes (all colors on LCD change one by one). how can i disable this screen saver.